Seating is limited. 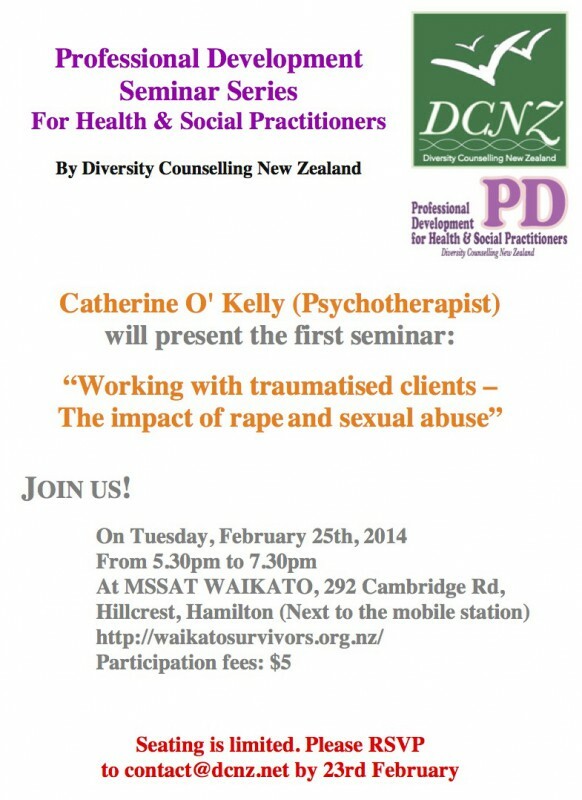 Please RSVP to contact@dcnz.net by 23rd February. Note on 17/02/2014: All seats have been booked now. Sorry for this. Please look for next seminar. It will be notified on this website. Thank you Catherine for the great session and thank you everybody who participated today. We are looking forward to seeing you again.